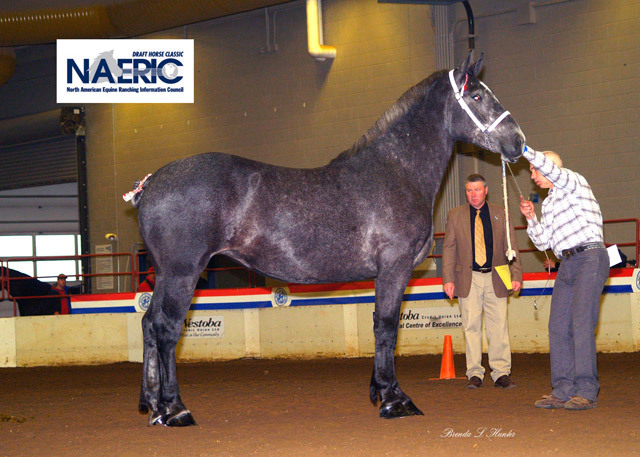 The NAERIC Draft Horse Classic program encourages breeders to nominate and/or sell registered draft horse yearlings at auction each spring. The nominated horses and those sold through the sale return after training for 2 years to compete for a significant purse at the Futurity which is designed to demonstrate their quality, conformation and performance. 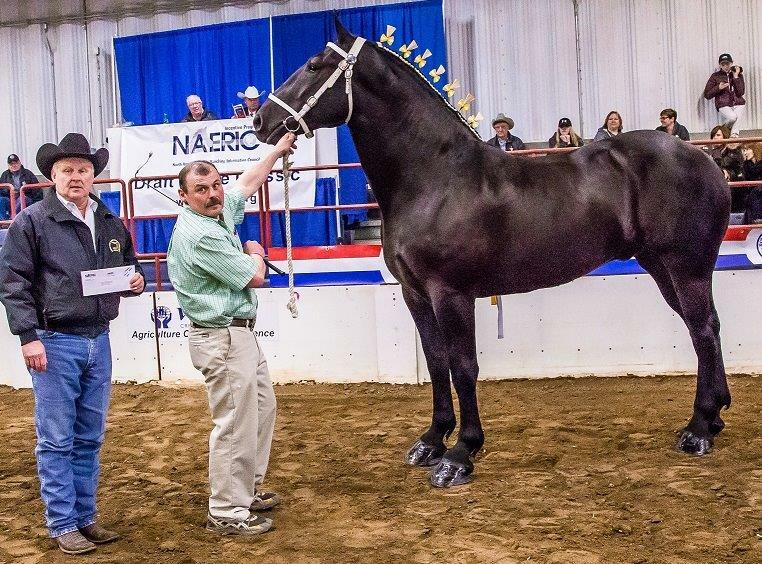 To become a member of the NAERIC Draft Horse Classic or for more information, call the NAERIC office at 502-245-0425 and talk to Barbara (ext. 203) . 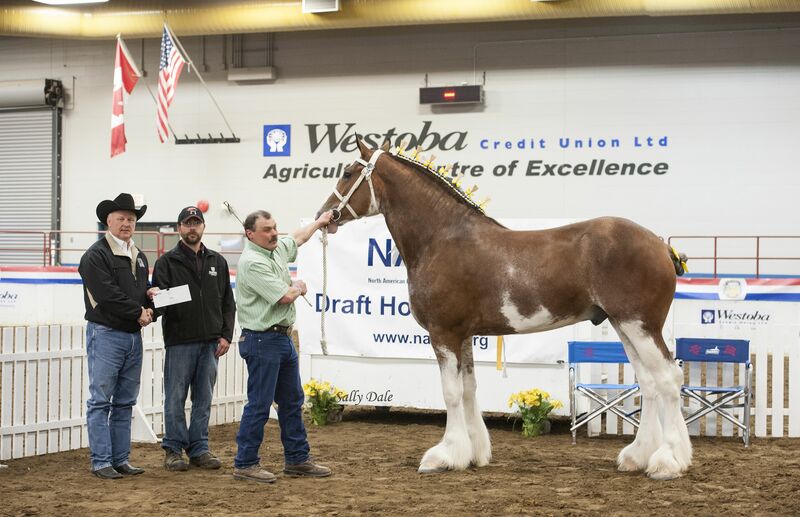 The 2019 NAERIC Draft Horse Classic Sale and Futurity was held March 28th - 30th at the Keystone Centre, Brandon, MB during the Royal Manitoba Winter Fair. 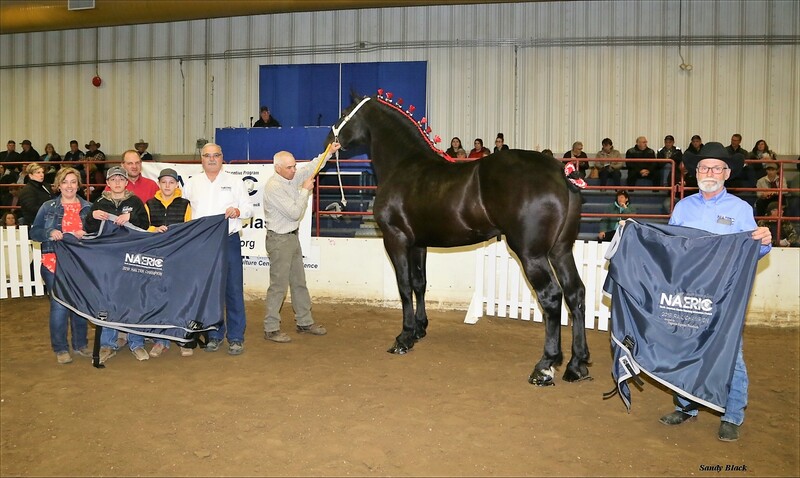 Charleswood Charger 15, owned and bred by Kent and Marnie Anderson & sons, is the winner of the 2018 NAERIC Draft Horses Classic Futurity. Charleswood Charger 15 was shown by Doug Hobman. The 2017 Winner of the Draft Horse Classic Futurity is Charleswood Breah, owned and bred by Kent and Marnie Anderson, and shown by Doug Hobman. 2016 NAERIC Draft Horse Classic Futurity winner. Paramount Flash Laet II was bred by David R.C. Bailey. The 2016 sale of 19 draft yearlings sold for a total of $90,800.00. 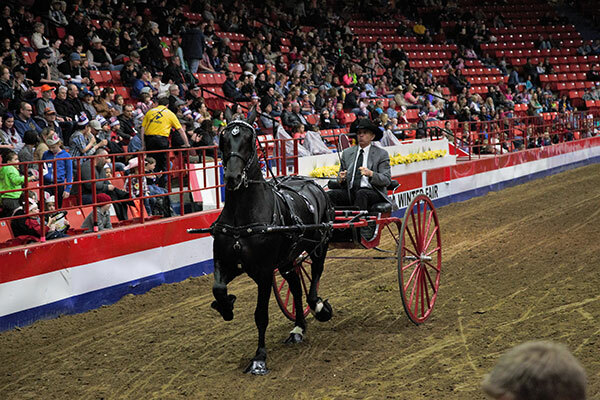 2015 NAERIC Draft Horse Classic Futurity. The sale of the draft yearlings took place on Saturday. 24 yearlings sold for a total of $85,700.00. 20 yearlings sold for a total of $74,050.00.